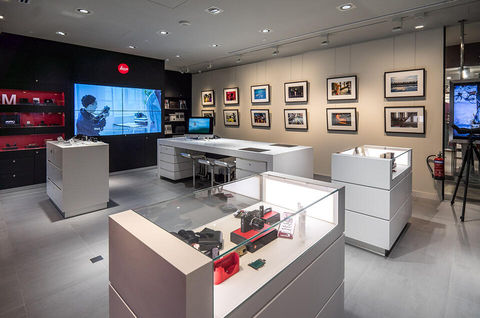 Located at the cutting edge of luxury retail and fashion shopping mall, the Leica Store Singapore at Marina Bay Stores brings you a unique shopping experience. 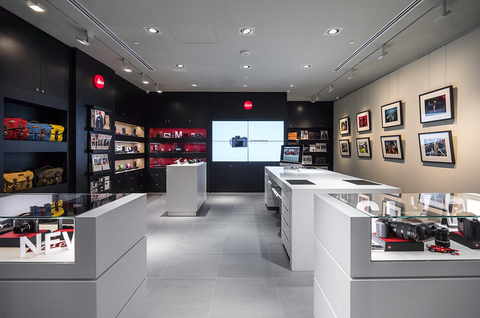 With built in studio setup, have your portrait taken while you try your hands on the legendary Leica cameras and sport optics. 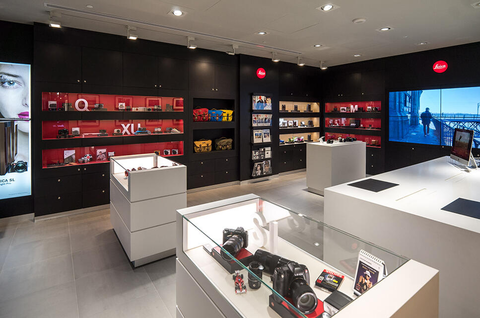 Purchases made at this store will also entitle you to a treat of exclusive lifestyle experiences at other retailers within Marina Bay Sands Shoppes. Bayfront MRT station (CE1, Exit B, C, D, E) along the Circle Line Extension. Marina Bay Sands is set to become a premier entertainment destination with its vibrant diversity of attractions and facilities. The vision is to build an integrated development that is timeless, a landmark that possesses a distinct identity which will distinguish Singapore from other cities. Located along the Marina Bay waterfront, Marina Bay Sands features three cascading hotel towers topped by an extraordinary sky park, 'floating' crystal pavilions, a lotus-inspired Museum, retail stores featuring cutting-edge labels and international luxury brands, trendy Celebrity Chef restaurants, endless entertainment at the theatres, the hottest night clubs and a Las Vegas-style casino. Business visitors will also enjoy the extensive Meetings, Incentives. Marina Bay Sands seamlessly combines business and leisure into a singular destination unlike any other. Take a trip up to the 57th Floor to CÉ LA VI for the finest in Modern Asian cuisine, drinking and entertainment, and breathtaking views of Singapore’s city skyline atop Marina Bay Sands.